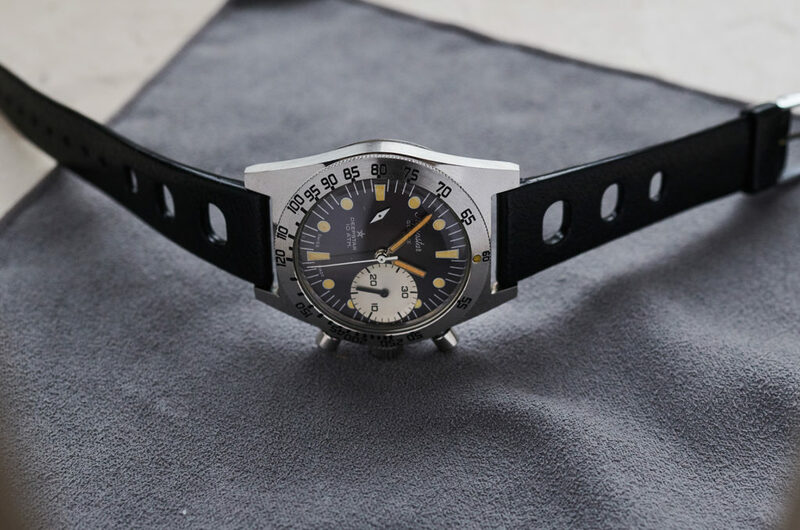 This is an extremely rare Aquastar Deepstar Mk1 „Maxi Dial“ in mint condition. 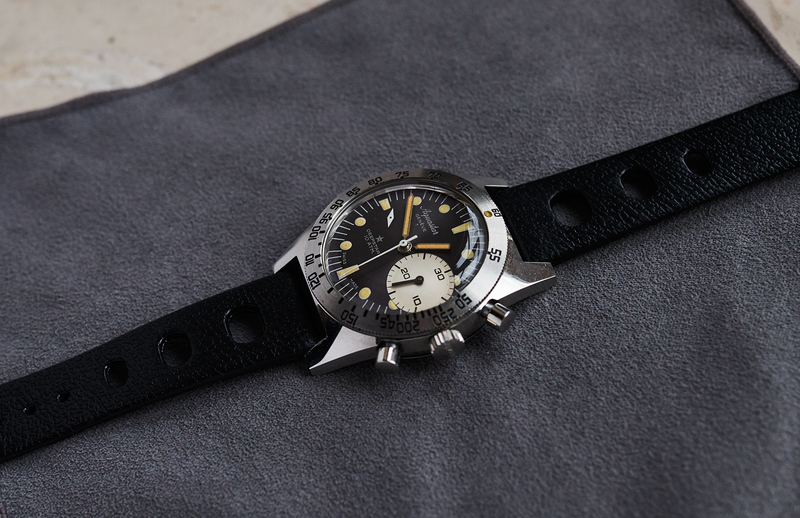 As widely known, the Deepstar was Jacques Cousteau´s choice for his calypso crew back then in the 1960´s and is a very sought after piece by collectors today. 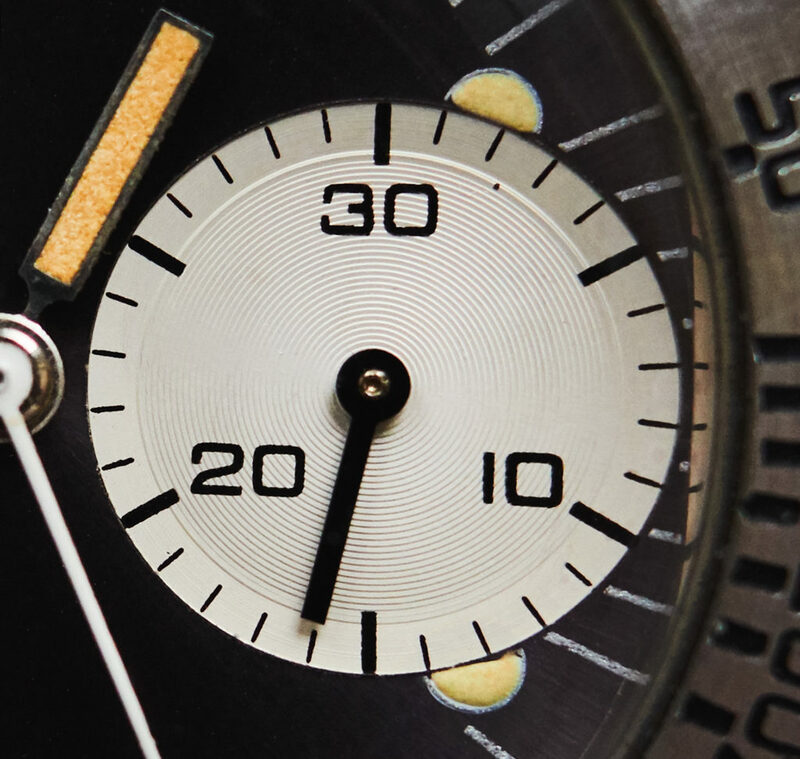 Good examples only appear very rarely on the market and Mk1 „Maxi Dial“ – versions almost never. 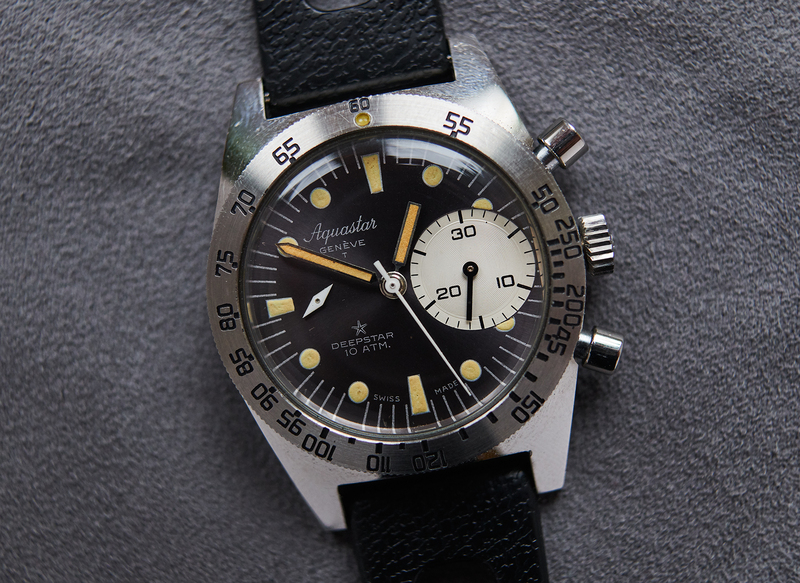 regarding our Deepstar seriallist we have only counted six Mk1 watches (including this one) worldwide so far. Our example definitely stands for it´s own conditionwise. 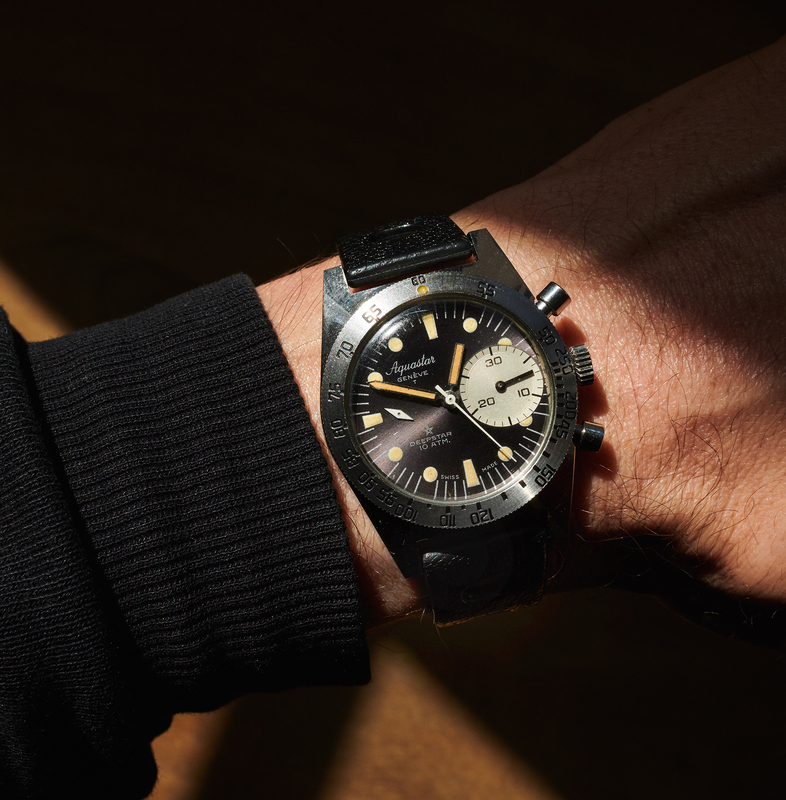 We figure that it hadn´t been worn or maybe even never been sold in the 60s and 70s. It only showns very minor signs of use. 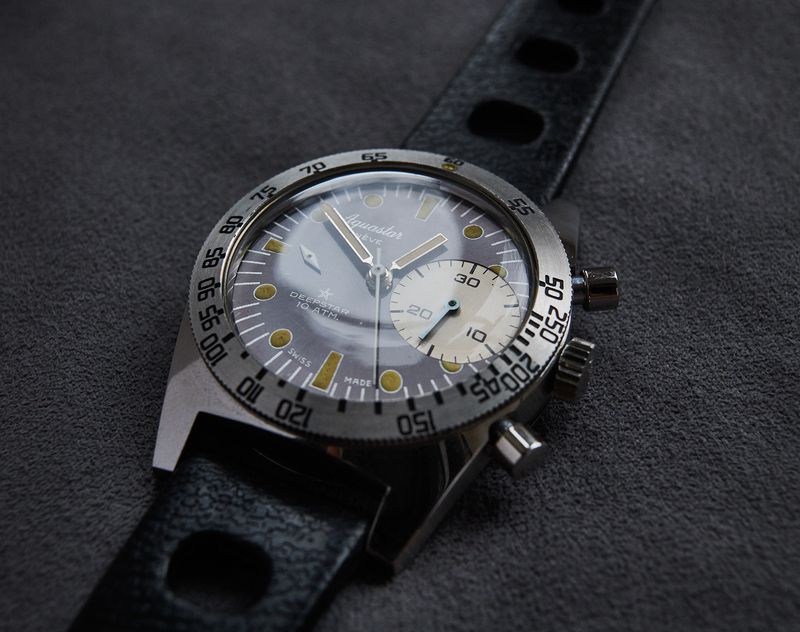 The zincsulfite-lume on dial, hands and bezel-lumedot is fully original and the UV light test is proofing that. 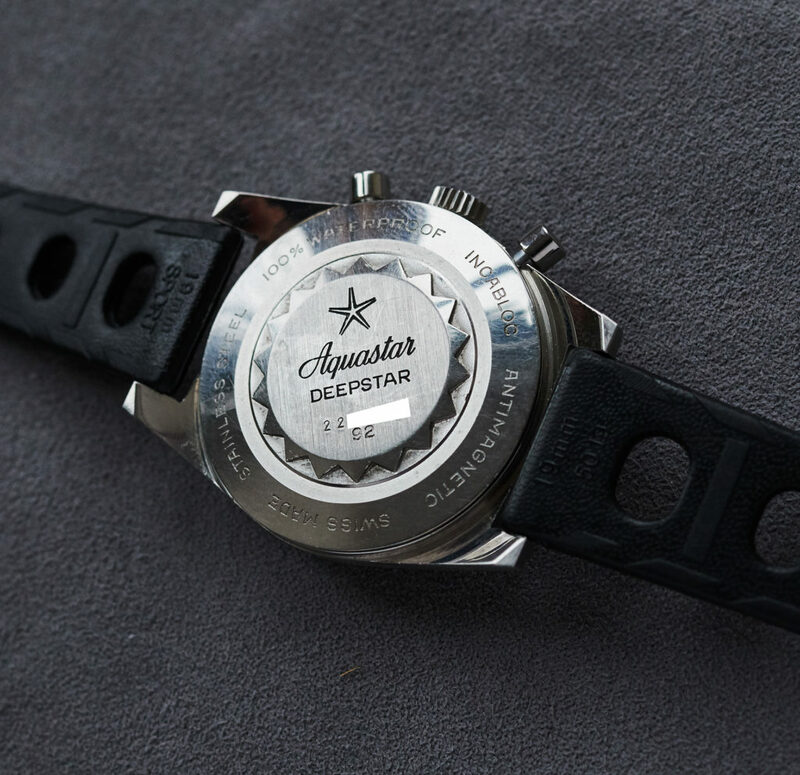 Caseback (22xxxx), movement-bridge and crown are Aquastar engraved. 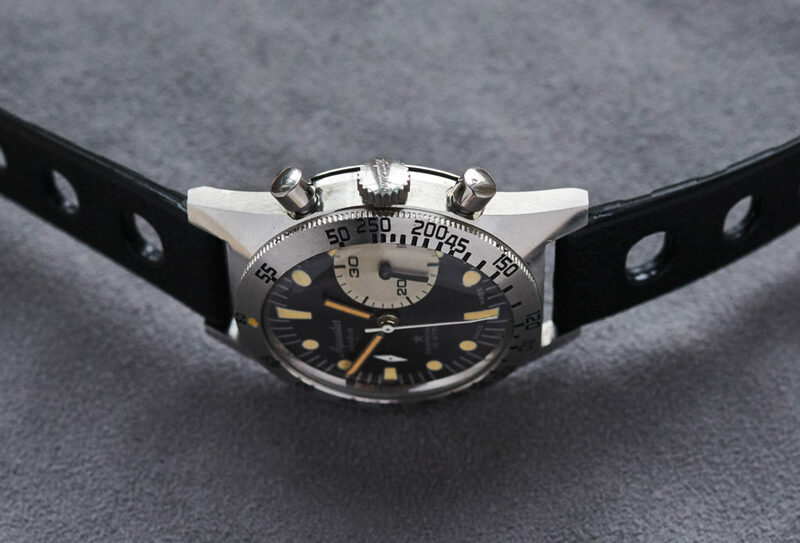 The Valjoux 92 has recently received a full service by our watchmaker and won´t cause any issues for the next decades. 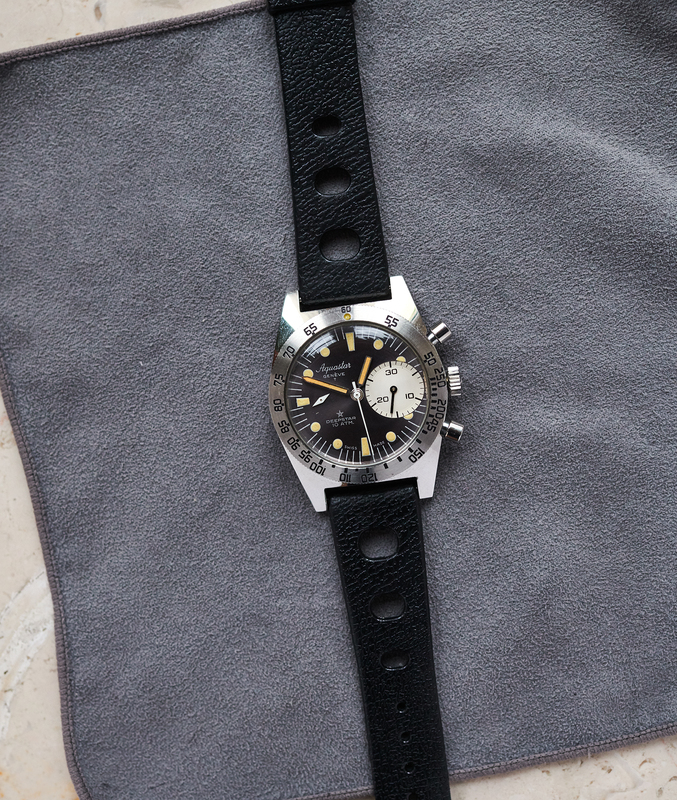 This rare Deepstar comes on a vintage sporttropic-band.